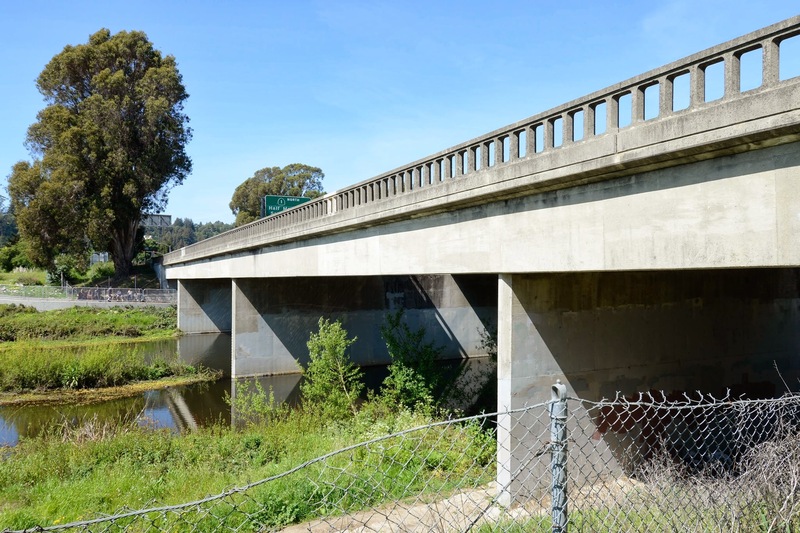 One last pair of bridges across the San Lorenzo River. The Cabrillo Highway (State Route 1) Bridges (36 0071L/R) are 4-span T beam bridges that share a single set of pier walls. The bridges were built in 1956 and were never renovated or retrofitted. They are 230 ft long with a pair of 80 foot spans over the river. Santa Cruz County seems like a land lost to time. There were a lot of bridges built 50 to 100 years ago, but nothing much has been built recently. There are no major highways and it's a long, difficult drive on two lane roads to get in and out of Santa Cruz County. 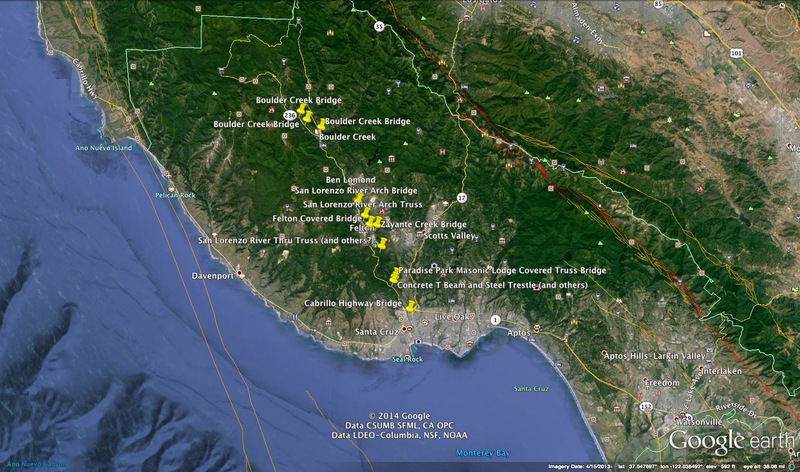 The Google earth photo below shows the county is between the San Gregorio and the San Andreas Faults, which have pushed up the land and created the San Lorenzo River between them. Santa Cruz County, California Bridges: Cabrillo Highway (SR-1) Bridges across the San Lorenzo River by Mark Yashinsky is licensed under a Creative Commons Attribution-NonCommercial-NoDerivatives 4.0 International License.